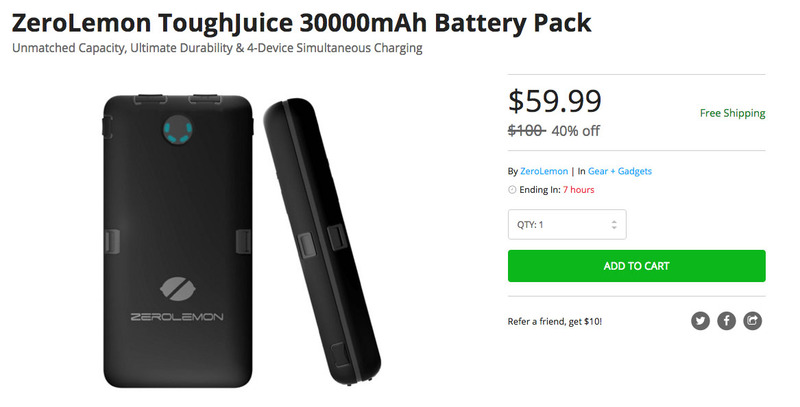 The ZeroLemon ToughJuice 30,000mAh battery pack is on sale in the DL Deals store right now for just $59.99. That’s a good $40 off its normal $100 price. With this battery pack, you can charge devices like the iPhone 6 up to 11 times before you need to refill it. You can charge tablets at a 2.4A speed and up to four different devices at a time. It’s also built like a beast with its double layer antishock softshell and hard plastic coating. The deal ends in a couple of hours, so don’t hesistate.